Jak zabránit obnově smazaných dat na disku – NTFS ? Co třeba příklad, kdy mám na počítači nebo serveru nějaká data, která nechci aby čelt někdo jiný (server bude využívat cizí admin a já zde ukládal důvěrná data). Data na serveru smažu, ale to nikomu nezabrání aby byla data obnovena. Tedy dokud neprovedu alespon jedno přepsání na disku v místě, kde byla původní data zapsána. K tomuto nám slouží integrovaný nástroj cipher.exe . Tento nástroj je dostupný už od Windows Serveru 2003 :\, no já o něm teda fakt nevěděl :). Na tyhle věci jsem do nedávna používal specilizovaný nástroj třetí strany 🙂 . 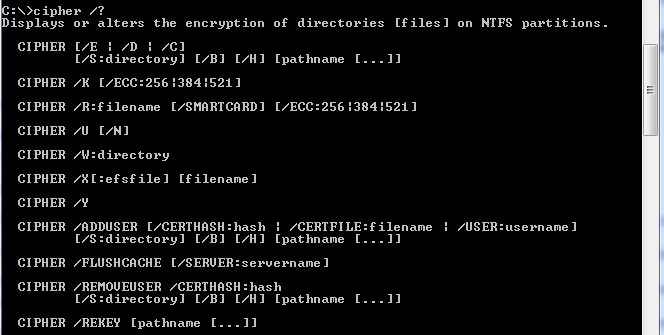 Displays or alters the encryption of directories [files] on NTFS partitions. executing even if errors are encountered. /C Displays information on the encrypted file. /D Decrypts the specified files or directories. encrypt the file and the parent directory. option is chosen, all the other options will be ignored. 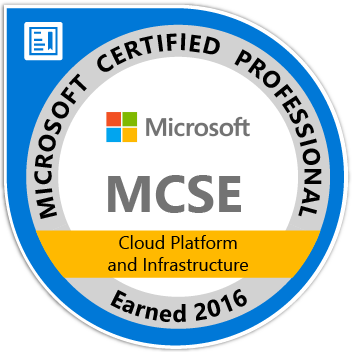 certificate will be created with the supplied key size. key size of 256, 384, or 521.
files and subdirectories within it. volume. If this option is chosen, all other options are ignored. data on that volume will be removed. certificate and keys will be backed up. /Y Displays your current EFS certificate thumbnail on the local PC. Clears the calling user’s EFS key cache on the specified server. SHA1 hash of the certificate to remove. filename A filename without extensions. 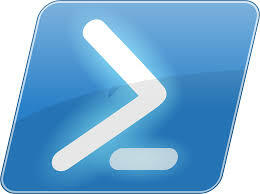 pathname Specifies a pattern, file or directory. efsfile An encrypted file path. names and wildcards. You must put spaces between multiple parameters. Perhaps you have a same problem, which I have some minute ago. It is good time to write this show article and share with you how solve this trouble.